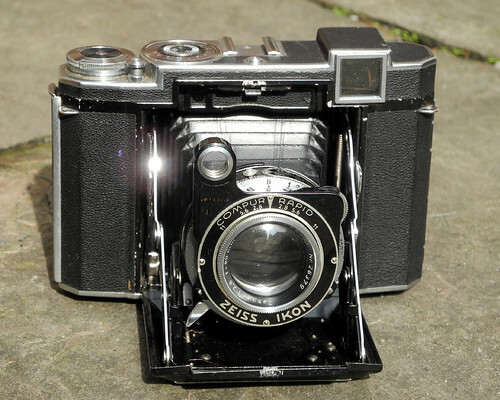 The Super Ikonta line was launched after the Contax I and Kolibri by Zeiss Ikon, due to Zeiss marketing recognizing that serious amateurs were interested in a larger film format than the Contax 35mm camera provided, but also wanted similar amounts of automation. The 6x6 Super Ikonta series (called Super Ikonta B) was launched in 1935 with the Super Ikonta 530/16. The 530/16 was then upgraded to the 532/16 in 1937, including a larger and combined rangefinder viewfinder, a 8cm f2.8 Tessar lens (there was no f3.5 model, as the 530/16 had) and an automatic film stop and couting mechanism. The 6x6 series (B-series) had an accessory shoe built-in, intended for the Contameter and Albada finder. 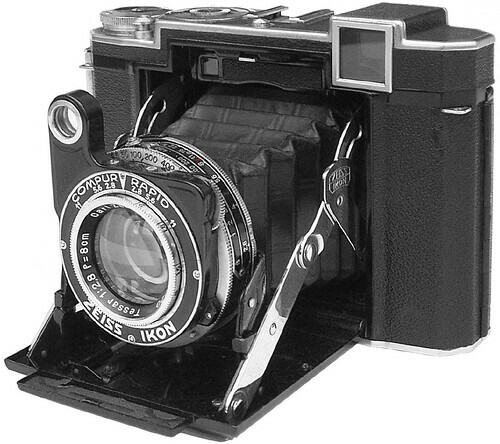 The Ikonta cameras were produced in the previous Contessa-Nettel plant in Stuttgart, as the Dresden plant was busy with the Contax and other 35mm cameras. Stuggart coordinated the amount of cameras to be produced with Zeiss Ikon in Dresden. The camera bodies and bellows were produced in Stuttgart, shutters were ordered from Friedrich Deckel in Munich and shipped to Carl Zeiss Jena, who mounted the lens into the shutters. Then the lens and shutter assembly was shipped to Stuttgart for mounting to the body. Rangefinder components were manufactured in the Ernemann plant in Dresden before the war, and shipped to Stuttgart for acceptance testing and assembly into the cameras. After the war the rangefinder components were outsourced to Rodenstock. Rangefinder : Coupled, rotating wedge. Window combined with viewfinder window. This page was last edited on 3 January 2019, at 19:12.